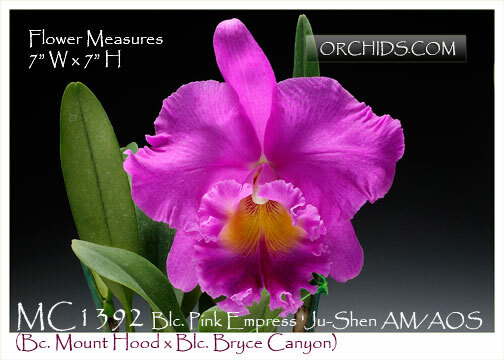 Awarded at 2001 Taiwan International Orchid Show with an AM/AOS of 86 points. 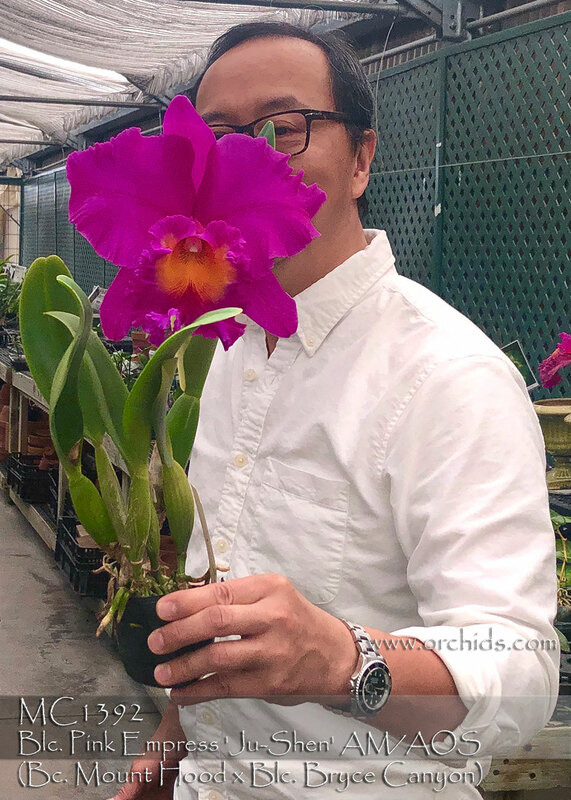 At the time of award , this clone has the nature spread of 21 cm of two very shapely , irridescent magenta flowers on one inflorescence . This clone has the best feature from both parents , nice shape from Bc. 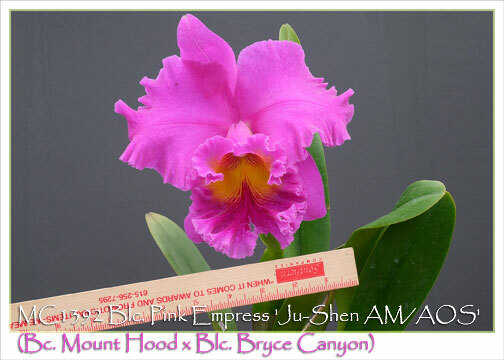 Mount Hood and brilliant magenta color and trade mark lip of Blc. Bryce Canyon. 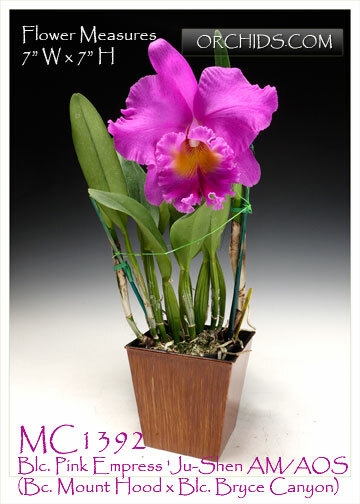 A must in any modern Cattleya collection.